This post is an update on the original Salt Marsh Hay post. We are excited for four main reasons. 1) Salt marsh hay is a way to harvest nutrients from the ocean and recycle them through livestock and manure back to the land. No fertilizer is required to grow it. 2) Salt marsh hay makes excellent, weed-free mulch. 3) Livestock fed salt marsh hay commands a special premium in the marketplace. For example, see the post by Joseph Smith on Salty Livestock. 4) Results from the hay sample we sent to the lab are encouraging. 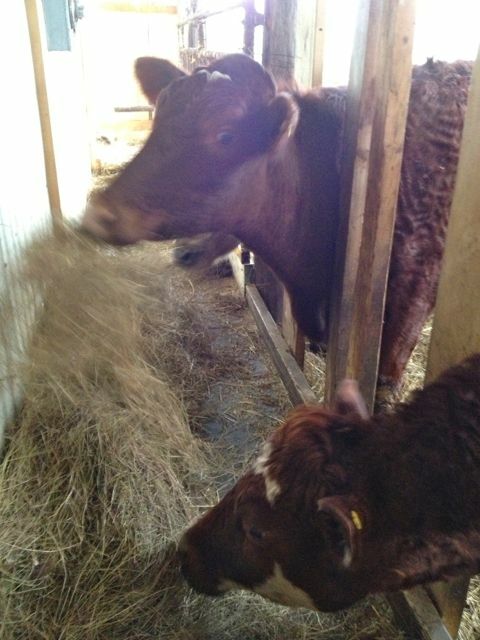 We sent a sample of the salt marsh hay to the Nova Scotia Agriculture lab in Truro. The results show that the hay has low protein, but relatively high feed value. Last week Misty Croney came by to discuss our Nutrient Management Plan for the farm, and she also included an interpretation of the salt marsh hay results. The crude protein was 7.49% on a dry matter basis, which is quite low. Above 16% is considered to be excellent. 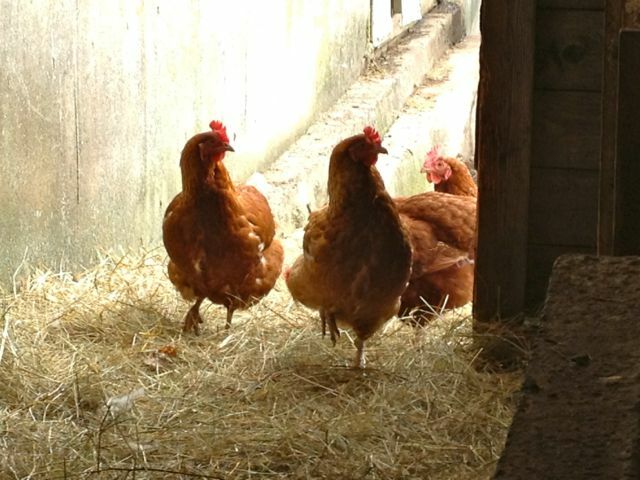 Personally, I prefer to be working with lower protein feeds, which makes the system less ‘hot’. A high protein will lead to maximum production, maximum excretion, and potentially high leakage and waste of nitrogen. I’m sure others would argue that unless you feed excellent quality feed, you are wasting your time and resources. I would argue that seeking an optimum protein level for the animal in question leads to less waste and fewer health issues. I don’t know if the salt marsh hay is at an optimum protein level or not, but it would be interesting to find out. Misty thought that if we fed it along with a good, high protein legume hay, it would make a great feed. She also said that if we want a higher protein result, it would be good to cut the salt marsh hay earlier. We would like to find a balance between cutting the hay earlier (before 22 August) to get a little higher protein, but not too early (after mid-July), which might disturb nesting Nelson’s sparrows. Misty also said the salt hay has excellent energy value; good levels of magnesium, copper, and manganese; but low levels of phosphorous, potassium, and zinc; and average levels of calcium. 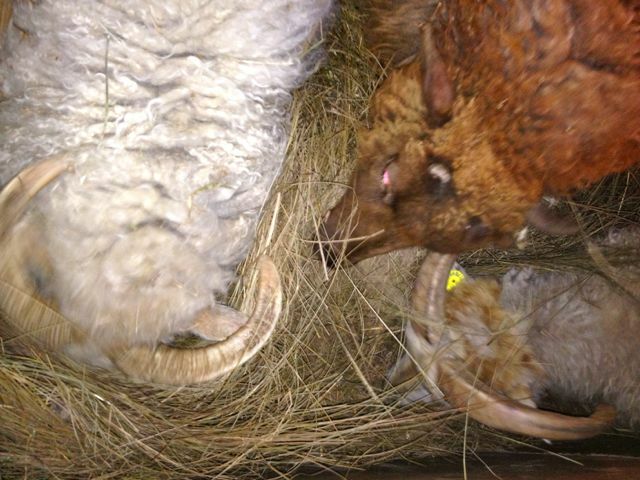 When we fed dry salt hay to the cows and sheep, they ate it right up after a short period of getting used to it. Today when we fed the hay, and the cows and sheep ate it right up with no hesitation. We will continue to harvest and feed salt hay to livestock, as well as use it for mulch on the garlic. I would love to hear from others who are using salt marsh hay! This entry was posted in efficiency, nutrient cycling, Uncategorized and tagged Nova Scotia salt marsh, salt marsh hay, salt marsh hay livestock. Bookmark the permalink.